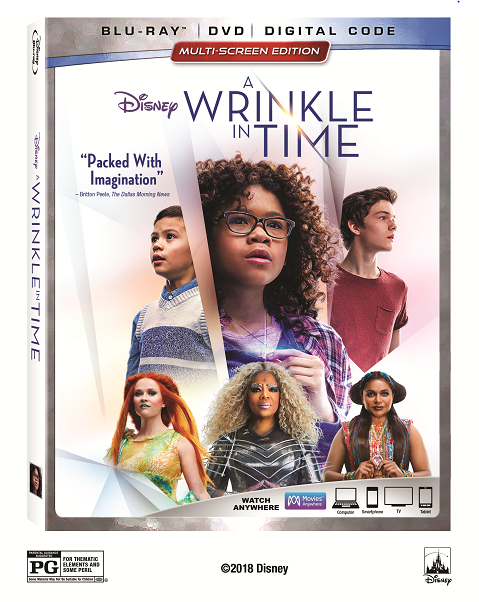 I’m so excited to bring you a chance to win your next summer movie night flick with Disney’s A Wrinkle in Time! It’s now on Digital HD and Blu-Ray. Enter using the Rafflecopter below, and best of luck, dear reader! My familys favorite movie right now is CoCo. But we love Lion King we havent got to see Wrinkle in Time yet. It might be our next favorite <3 Or Peter Pan I have only seen it once. I would love to see it with my son he really gets into that stuff. My family’s favorite movie Jurasssic Park! We are a huge fan of all of the Harry Potter movies. My family’s favorite movie is 50 First Dates. We’ve watched this movie so many times and still enjoy it. I watched Beowulf so much that even my kids knew some of the comentary. I love Jurassic park and Disney movies! My favorite family movies to watch with the grandson is Free Birds & The Secret Life Of Pets, they are both so funny. My family’s favorite movies are Ghostbusters and Back To The Future. Thanks for hosting. This movie looks like alot of fun. our familys favorite film is Jurrasic park. We love Howl’s Moving Castle and the Harry Potter Movies.